If you were into the music of Red Dead Redemption 2, Rockstar Games has a special treat for you this weekend. On Saturday, February 23, 2019, you’ll be able to experience the music of Red Dead Redemption 2, live at the Red Bull Music Festival in Los Angeles. Composer, Woody Jackson who is best known for his work on Grand Theft Auto V, L.A. Noire, the original Red Dead Redemption, and most recently, Red Dead Redemption 2 will be taking the lead during this weekend’s immersive audio/video experience. You can still purchase tickets to the event here. Admission is $25. Luckily, there will be two performances this weekend, to give more opportunities to attend. In addition to Jackson, the performance will also include score contributions from multiple guests including saxophonist Colin Stetson, vocalist Petra Hayden, and more. Impressively, Red Dead Redemption 2 features 192 interactive mission scores, so there should be plenty of pieces to choose from during this weekend’s performance. 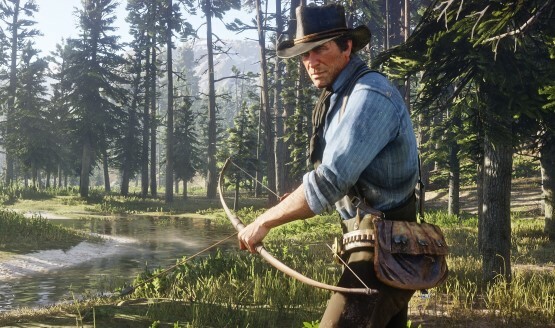 The game also won an award for its music at the 2018 Game Awards, which is impressive when you consider the list of nominees. Events like these are always a good time and have been popping up more often as of late like with the Kingdom Hearts Orchestra. Were you a fan of RDR2’s music? Will you be attending the Red Bull Music Festival this weekend? Let us know!